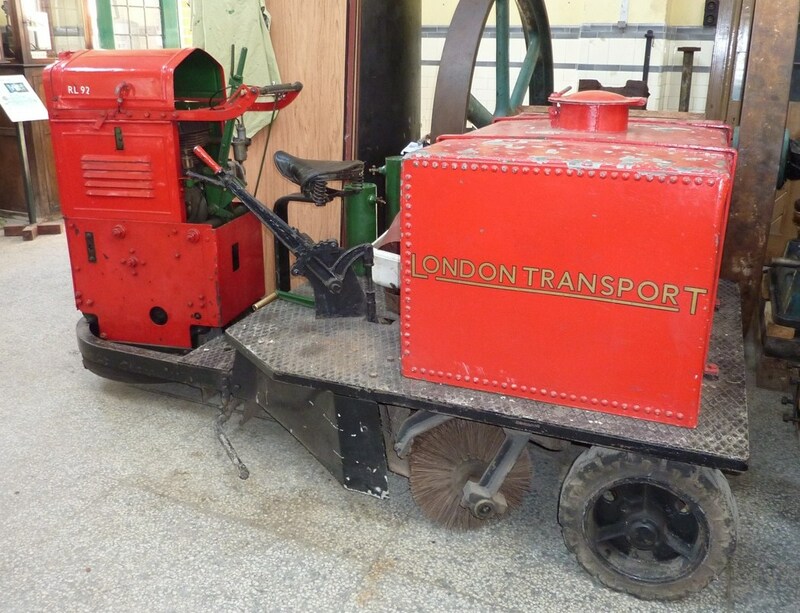 Floor sweeper RL 92 is the only known survivor of London Transport’s once large fleet of garage floor sweepers and is believed to have been allocated to Enfield garage. Early models were petrol engined but later replaced by diesel engined models. Only one was licensed for the public highway, registered 520 UNK, it made regular journeys between Hertford garage and Hertford bus station to perform its duties. RL 92 has been part of the Museum collection since the early 1970s. It has been away for some time but is now on display along side other service vehicles.